Working hard shooting with angelic Sandara Park for a beauty pictorial. Southeast Asian fan concept for one cut! Of course Dara wouldn’t miss the opportunity to go to a beach in the Philippines! 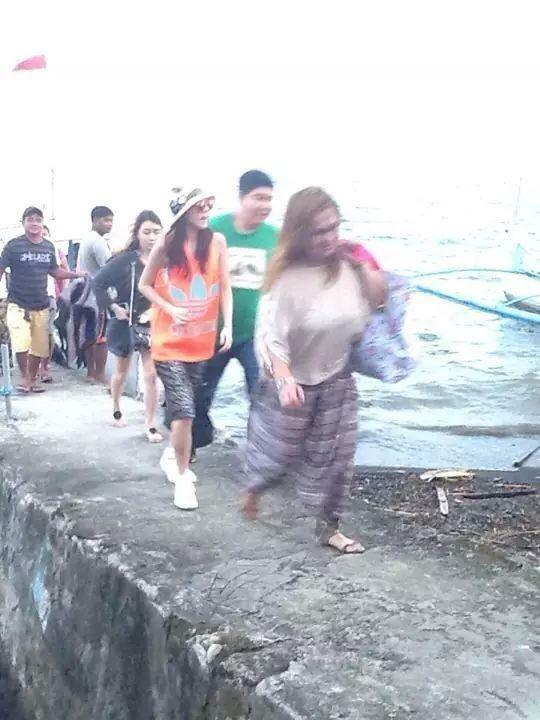 ^^ Dara, along with Jjangmae and a stylist, were seen in Batangas today. According to the source, they left at around 6 pm. Annyeong-haseyo! Hanging out with the Krungerz. Please identify them. Post-pigging coming of age of Atih Banana @anatabatina. The food that always binds us together.